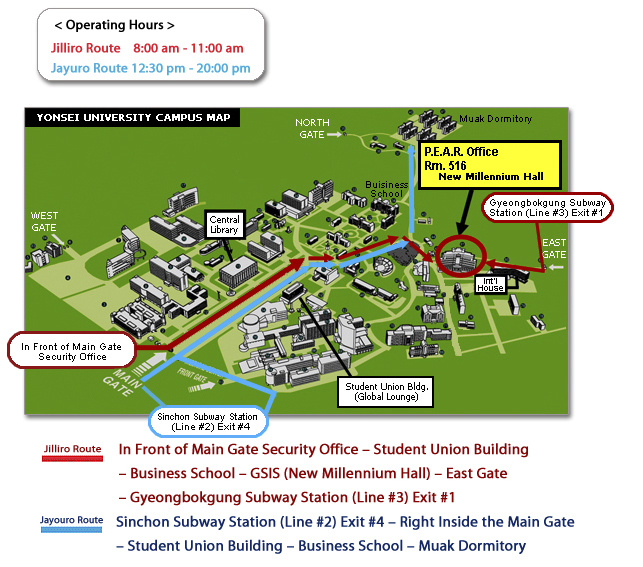 * From Main Gate: Follow the arrows as shown on the map: go straight from the main gate and then make a right, while following the road. You should then be able to see the building. * From East Gate: Follow the road up the hill and then you will pass the international dorm on your left followed by the school building. Take the stairs down to the main entrance.